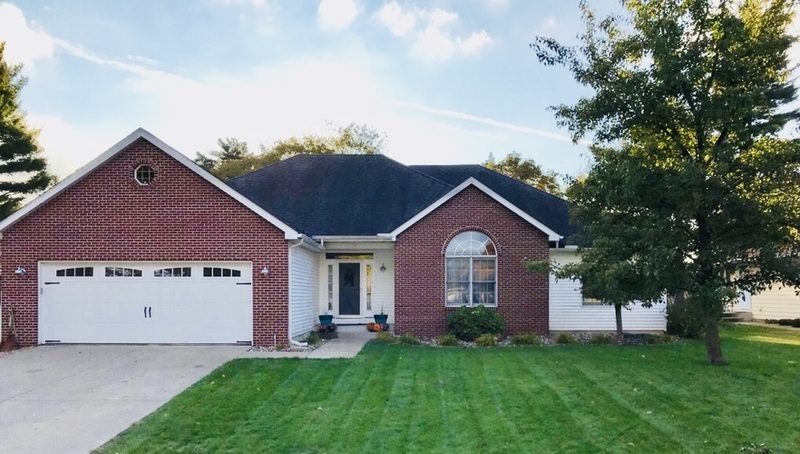 This move in ready ranch with finished lower level is ready for you! This home has been remodeled from top to bottom: new carpet, new paint and refinished hardwoods! Cathedral ceilings in the spacious living room with a beautiful fireplace. Walk into the gorgeous kitchen that features Corian counters on the surrounding and a spacious island for 5 with an amazing granite counter. A buffet area with wine storage and a great walk in pantry too! Access to the fenced backyard via the slider in kitchen and Master! The master bedroom is large with walk in closets, master bath with Jacuzzi tub and shower. And then the lower level... You will find the second kitchen, family/rec room with a bar, movie theater, additional bedroom and full bath! Basement is also updated with new carpet and paint! Storage with shelving too. Garage is large and has cabinetry. This is your next home sweet home! Directions:CR 16 to River Shore Lane to home.